How to determine the date of production/manufacture or age of Compu-Aire® HVAC Systems. 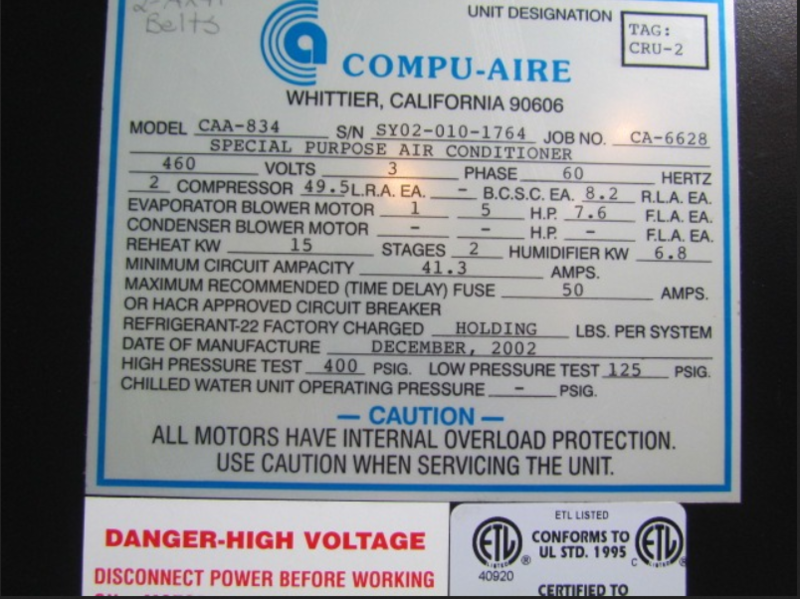 The date of production/manufacture or age of Compu-Aire® HVAC equipment can be determined from the “Date of Manufacture” date located on the rating tag. Description: The model number, serial number, job No., and Date of Manufacture are located on a rating tag. The Date of Manufacture appears in the bottom half of the data located on the rating tag in the Month,YYYY format. If the tag fails to provide this information the manufacturer must be contacted. When contacting the manufacturer have the model & serial number handy. (See the rating tag below).